Jenny holds a BA (Hons) from the University of Sydney, an LLB from University of New South Wales and an LLM from Yale University. Jenny has been a member of faculty at Melbourne Law School since 1988, and has taught Criminal Law, Anti-Discrimination Law, Feminist Legal Theory and the introductory law course in the JD, Legal Method and Reasoning. Jenny served as Dean of Melbourne Law School from July 2017 until January 2018. Jenny has been a member of the Social Security Appeals Tribunal, a Commissioner with the Australian Law Reform Commission, on their Equality Before the Law inquiry, and a Hearing Commission with the Australian Law Reform Commission. She was a founding Director of the Victorian Sentencing Advisory Council and a consultant to the Victorian Law Reform Commission on their Homicide Law Reform reference. She has been on the management committee of various community organisations, including Women’s Legal, CASA House, Women’s Domestic Violence Crisis Service. She has served on numerous committees in the University and was Deputy Dean in MLS between 2003 and 2007. Jenny’s research interests are in the areas of criminal law, violence against women, homicide, feminist legal theory, and law reform. 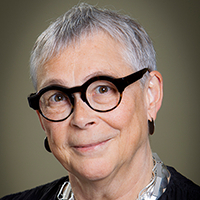 Jenny is perhaps most well known for her book, with Reg Graycar, The Hidden Gender of Law published by Federation Press in 1990, with a second edition in 2002 (see ‘On the Hidden Gender of Law: A Public Talk’ Australian Feminist Law Journal (2015). Jenny worked extensively on homicide law reform, particularly the reform of the law of provocation. Jenny’s most recent publications have focused on media reporting of violence against women including: ‘Changing Media Coverage of Violence Against Women: Changing Sourcing Practices’ Journalism Studies (2017) and ‘Law Reform and the Media: (Re)figuring Responsibility’, in Homicide Law Reform in Victoria: Retrospect and Prospect (Federation Press 2015). Other recent publications include ‘Dietrich v The Queen – Judgment’, Australian Feminist Judgments (Hart Publishing 2014); ‘Abortion Law Reform: The Importance of Democratic Change’, University of New South Wales Law Journal (2012); ‘Homicide Law Reform and Gender: Configuring Violence’, Australian and New Zealand Journal of Criminology (2012).